There is still plenty that you can do in your garden, including planting! Here are a few things you can accomplish in your garden right now. They come to us from Jeff Salmon, president of Arbordale Nurseries & Landscaping, 480 Dodge Road, Getzville. The soil is still warm and you can still plant. Late fall plantings will continue to root and establish themselves, so you’ll be farther ahead if you plant now than if you wait until spring. Place mulch on your perennial beds and new plantings to slow soil temperature changes so the plants don’t heave with the frost. Plants handle rapid drops in temperature better if the ground freezes wet, so water those areas under the eaves one more time. The pond needs the aeration checked and deicer set out. One last application of Muck tablets will help keep the bottom debris limited in your fish pond. 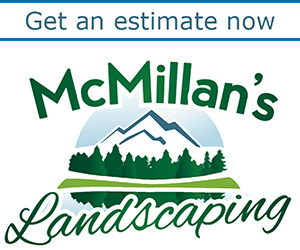 Click here for winter pond care list. I got this tip from the Art of Gardening blog, which is written by Jim Charlier, president of Garden Walk Buffalo. 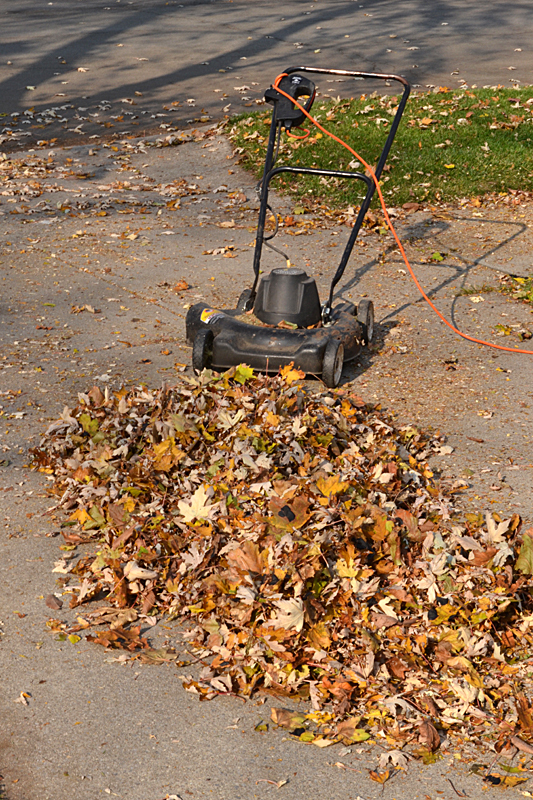 Rake your leaves onto your driveway before you crunch them up with your lawnmower. I tried it over the weekend and it worked quite well. When you chop up the leaves on the lawn, you lose many of the tiny pieces of chopped leaves, which are the best. On the driveway, it’s very easy to sweep up those tiny bits. The leaves were drier this weekend, too, which helps a lot. See my earlier experiment on chopping up your leaves for composting. The deadline is fast approaching to apply for Beautification Grants from Garden Walk Buffalo. Grants have helped to fund dozens of garden beautification projects area such as community gardens, hanging flower baskets, street corner planter projects, garden restoration and more. A list of these projects can be found here. The application deadline is Dec. 28. The projects must be located within the area covered by Garden Walk Buffalo. Get more details here and download an application here. Small Business Saturday is a day to support our small businesses, which invigorate the economy and keep our communities thriving. 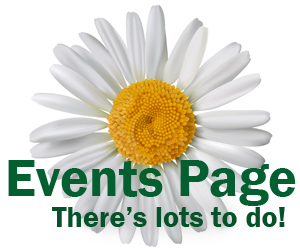 Please check out our advertisers– They’re all small, local businesses. You can see their ads above right, and you can see more ads on our Shop Locally Page. When you click on their ad, you’ll be taken to their web page to see all they have to offer. Last year, more than one hundred million people were a part of Small Business Saturday! Together, we can make this the biggest day of the year for small business. 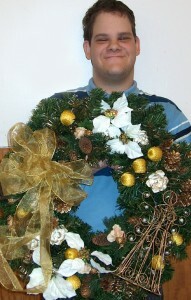 Ken Kluge displays an artificial wreath he helped make for sale to the public at the Niagara Floral Center and Greenhouse at Opportunities Unlimited of Niagara. Wednesday, Nov. 21 is the deadline to order. Items available include fresh and artificial wreaths, poinsettias, tropical planters, cactus gardens and bonsai junipers. People with developmental disabilities have been prepping pine cones for fresh and artificial wreaths since the summer and nurturing junipers, cacti and other plants all year. You can also buy a voucher for a Fraser fir, six to eight feet tall, that was grown by family farms. They accept cash, checks or credit cards. Place your order online through the Greenhouse Store or by calling 504-2617, ext. 244. You can also sign up for a hands-on seminar on making a fresh table-top tree. It will be held at 6:30 p.m. Thursday, Dec. 13. The cost is $30. The deadline to register isn’t until Dec. 3, but the class is already almost full. Get more details here. Through the Niagara Floral Center and Greenhouse, part of Opportunities Unlimited of Niagara’s day programming, individuals with developmental disabilities participate in horticulture therapy and training in a professional florist and greenhouse setting. Working with plants promotes dexterity, enhances motor skills and develops socialization. All purchases support this innovative program. 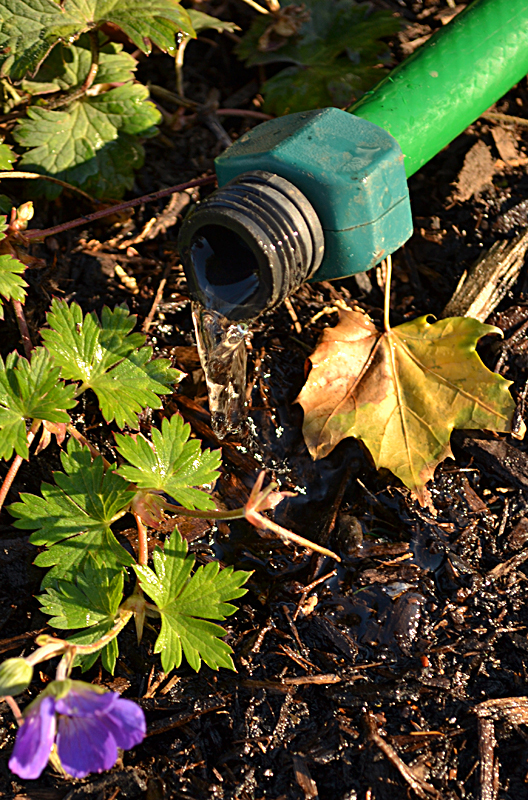 Photos: Watering Autumn Garden and Crunching Leaves by Connie Oswald Stofko. Ken Kluge photo from Opportunities Unlimited.